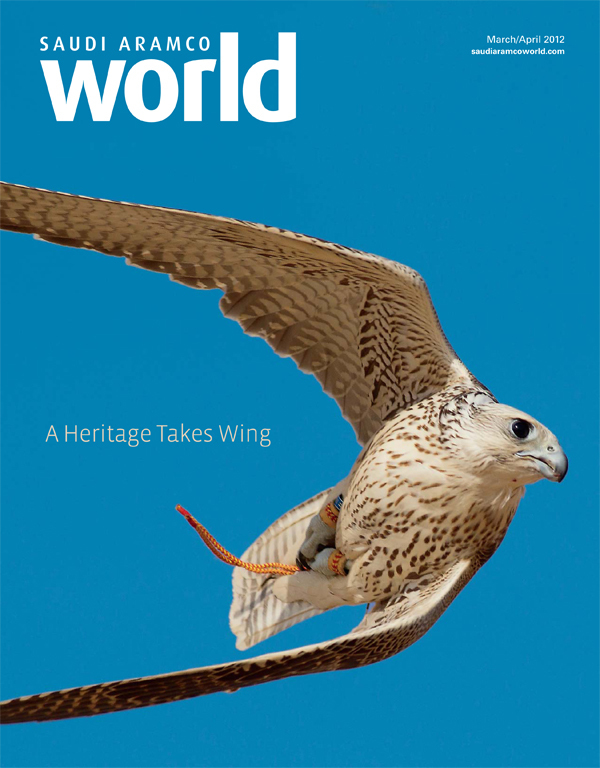 The March/April 2012 Saudi Aramco World cover story on falconry, “A Heritage Takes Wing,” was named Best Feature Article in the Association/Custom/B-to-B magazine division at this year’s annual national magazine contest sponsored by Folio in New York. Here’s their announcement. While Saudi Aramco World is officially a trade magazine, it reads more like the Smithsonian of the Middle East, with smart, well-reported stories about culture, food, travel, history and the like. And it’s free. Yup. You should most certainly check it out. Just out, my cover story in Saudi Aramco World magazine. Some stories have no beginnings. But sitting around a fire in a spacious landscape with radiant stars overhead, next to a man with a gyrfalcon on his fist, I get a sense of a beginning. The bird is exquisite, otherworldly, glowing in the light of the fire. When I am offered the chance to hold it, I do not say no. We slip the thickly padded, finely embroidered cuff from his hand to mine. I stroke the bird’s feathers with the backs of my fingers. Its weight is, somehow, just right: light enough not to be a burden, heavy enough to convey the substance of what rests on my wrist. I am in the desert of the Ramah Wildlife Refuge outside Al Ain in the United Arab Emirates, close to the border of Oman. In the darkness of the dunes are foxes and owls and, if the conservation efforts are working, hares and houbara bustards. It is the first day of the International Falconry Festival, a gathering that will bring hundreds of people from dozens of nations to this sandy spot to celebrate the world’s growing recognition of their artful sport—indeed, their obsession. Late in 2010, at a meeting in Nairobi, UNESCO announced that it would inscribe falconry onto the Representative List of Intangible Cultural Heritage (ICH). The room, filled with expectant falconers, broke out in cheers so long and loud that a recess had to be called. Abu Dhabi had spearheaded the effort that led to this announcement, submitting the application on behalf of 11 other disparate nations: the United Arab Emirates, Qatar, Saudi Arabia, Syria, Morocco, Belgium, France, Spain, the Czech Republic, Mongolia and Korea. It was the largest and most internationally diverse application UNESCO ICH had ever received. The ban was imperative. The object of falconry was extra intangible. The only hope that hunting might ever again be practiced in the Gulf would be to ease up for a time, perhaps decades, and let the hammered hare and houbara bustard populations recover. 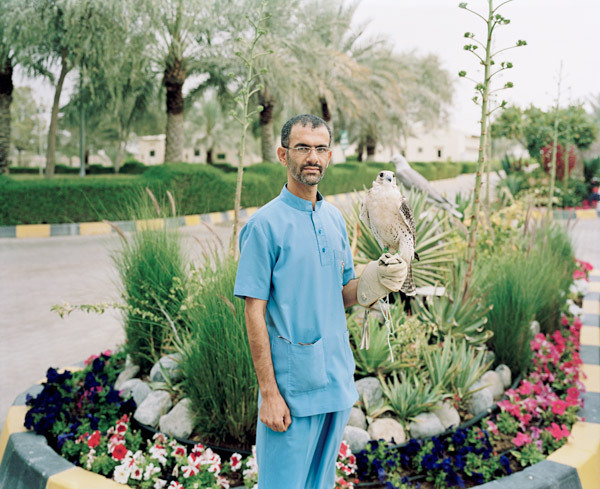 Abu Dhabi, meanwhile, is trying to jumpstart the project with an international Houbara breeding program. Much to-do attends even small events marking forward progress, as when Sheikh Hamdan bin Zayed Al Nahyan, Ruler’s Representative in the Western Region and Chairman of the Environment Agency-Abu Dhabi, released seventy bustards into the desert last year.